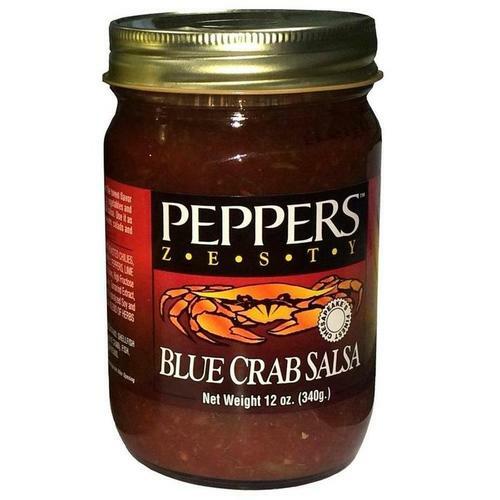 Peppers Blue Crab Zesty Salsa - Enjoy the bounty of the Chesapeake Bay! 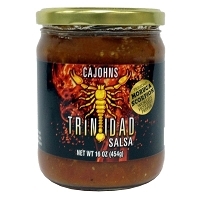 The sweet flavor of the Blue Crab combined with fresh ripe vegetables and zesty horseradish makes for an exquisite salsa. 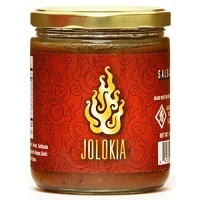 Use it as a dip or to enhance seafood dishes, omelets, salads & grilled meats. 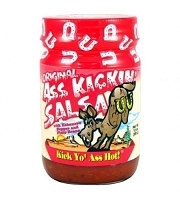 This National Champion Salsa was seen on "Roker on the Road" on the Food Network in 2004. 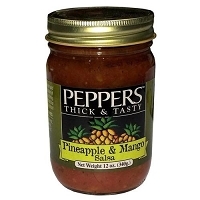 Ingredients: Diced tomatoes, Blue crab meat, roasted Chilies, horseradish, Chili peppers, diced Green Bell peppers, lime juice, Worcestershire sauce, Jalapeno peppers, a special blend of herbs & spices, salt.